Apple iPhone XS, iPhone XS Max Highlights: Apple has unveiled iPhone XS, iPhone XS Max, iPhone XR and Apple Watch Series 4. 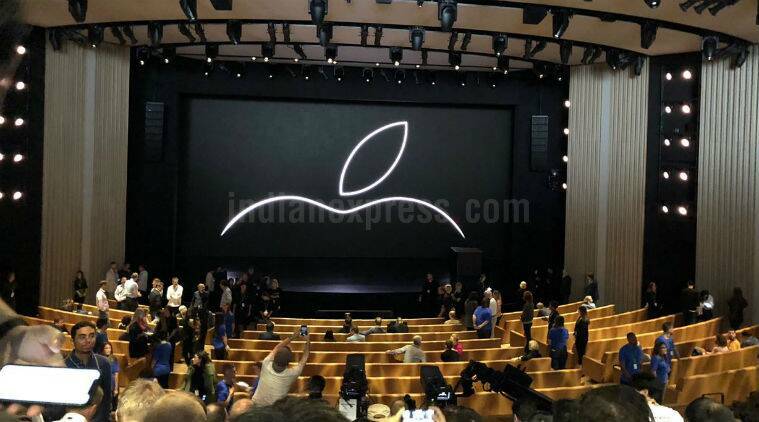 Apple Event 2018 iPhone XS, iPhone XS Max, Apple Watch Series 4 Launch Live Updates: Apple’s special event has started with CEO Tim Cook opening the keynote. Apple Watch Series 4 has been announced and the iPhone XS series has also been revealed. A third iPhone XR has been showcased as well, which sports a single-rear camera, unlike the other two. Apple Watch Series 4 comes with a bigger display, improved processor and sensors. The iPhone XS has a 5.8-inch display and a larger 6.5-inch version of the same is called the iPhone XS Max. The biggest advancements in the new phones are around the new A12 Bionic processor, which has a 7nm design, and improved machine learning, AR, and other capabilities. 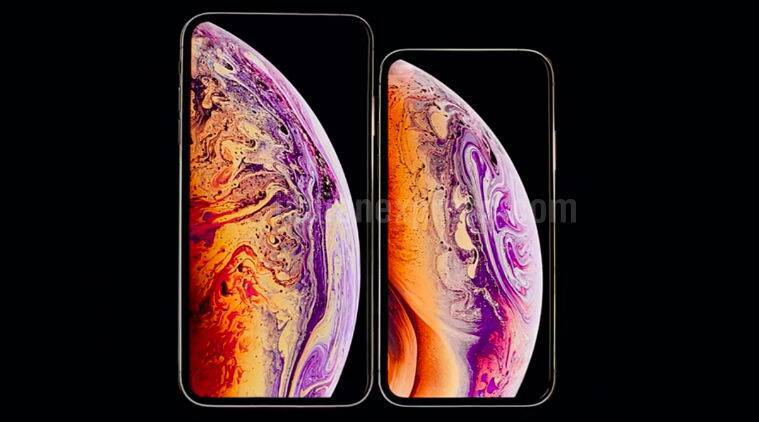 Apple iPhone XS and iPhone XS Max will be available in 64GB, 256GB and 512GB capacity models in space grey, silver and a new gold finish starting at Rs 99,900 and Rs 109,900, respectively, through Apple Authorised Resellers, confirmed the company. 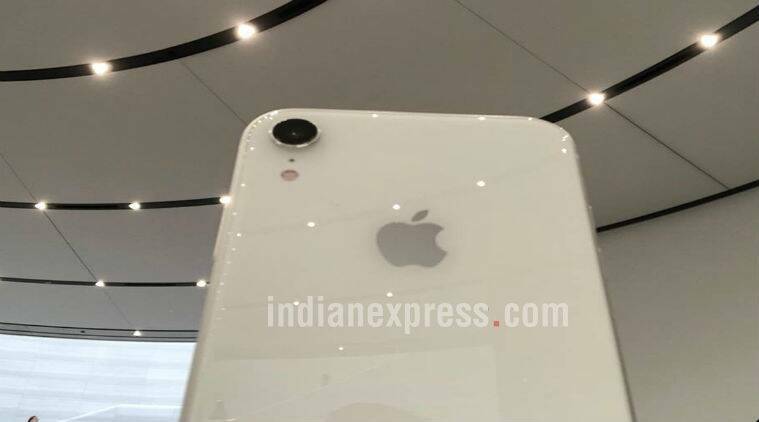 Apple iPhone XR will be available in 64GB, 128GB and 256GB models in white, black, blue, yellow, coral and (PRODUCT)RED starting atRs 76,900. It will come to India on October 19 with pre-orders opening on this date. Apple iPhone XS Max is crossing the $1099 price this time for the base 64GB variant. But this will work in Apple's favour. The reason. "Apple’s success comes from its understanding that smartphones are now the most essential commodity for a lot of its users across the world. This means they have very limited price elasticity, at least for those users. These customers will buy it a higher price as they are convinced of the value it brings to them." Read Nandagopal Rajan's full opinion on iPhone XS pricing here. Apple iPhone X: Has it been discontinued? Now when Apple showcased all three iPhones on the list, the iPhone X from 2017 was not mentioned on the list. The India website does have the older iPhone X in the drop-down menu when you compare prices of all the iPhones. However, in the official listing, the iPhone XS, iPhone XR , iPhone 8, iPhone 7 are listed. So its safe to assume, the iPhone X from 2017 will not be renewed this year. Now Apple iPhone XR is the most 'affordable' one on the list. Here's a look at the different prices. 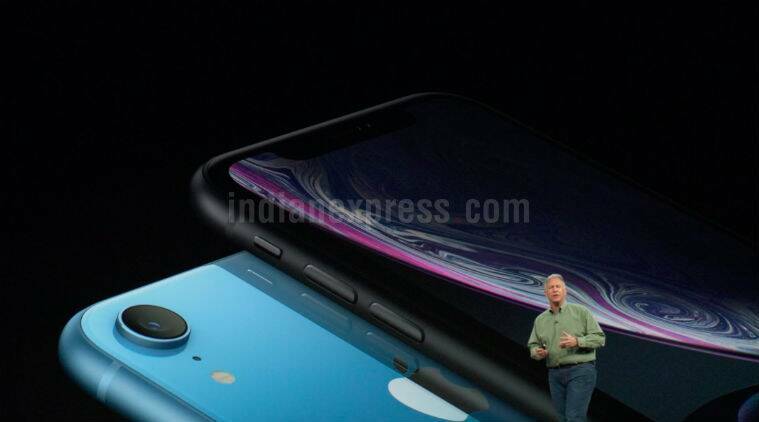 Apple iPhone XR starts at Rs 76,900, Apple iPhone XR with 128GB at Rs 81,900 and 256GB at Rs 91,900. Pre-orders on iPhone XR will start October 19, sale from October 26. Check out our video on the iPhone XR below. Apple iPhone XR will be available in 64GB, 128GB and 256GB models in white, black, blue, yellow, coral and (PRODUCT)RED starting atRs 76,900. It will come to India on October 19 with pre-orders opening on this date. iPhone XS and iPhone XS Max will be available in 64GB, 256GB and 512GB capacity models in space grey, silver and a new gold finish starting at Rs 99,900 and Rs 109,900, respectively, through Apple Authorised Resellers. Sale in India from September 28. Apple iOS 12 is coming on September 17 along with watchOS 4. macOS mojave will come on September 24. Apple iPhone Xr will come in 64,128 and 256GB. Goes on sale in October. Price is $749. 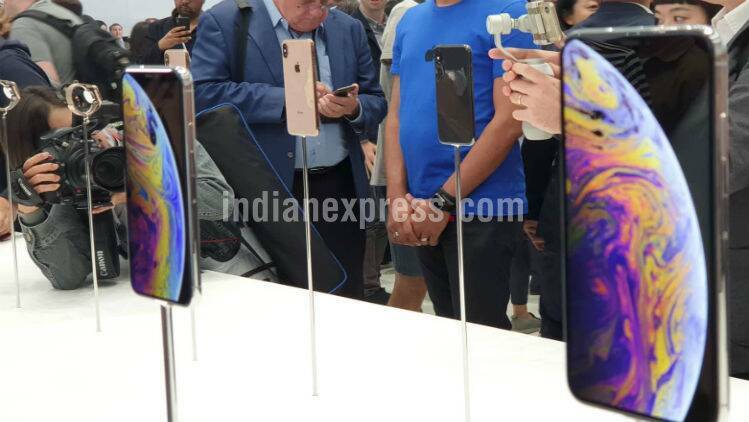 Apple iPhone Xs and iPhone Xs Max will come to India on September 28, though the first global sales start September 14. Apple iPhone Xs starts at $999, while the iPhone Xs Max will be $1099. Three variants: 64, 256 and 512GB. If you haven't realised it yet, none of the new iPhones have the home button. So you can be pretty certain that the iPhone 8 series was the last phone to house a Home button. Also, there will be no more phones that are smaller than 5 inches. So if you loved the iPhone 8 because it was vvery handy, hold on to it. Apple iPhone Xr camera on the front is same as iPhone Xs. It also has one and half hour more battery life than iPhone 8 Plus. There will be a more affordable iPhone afterall. The iPhone XR is meant to be a more affordable iPhone and will have a 6.1-inch LCD screen with liquid Retina display in place of the OLED and aluminum body instead of steel. This has a 12MP single camera at the back. But affordable does not mean cheap, it is just going to be more accessible for a larger audience. This will be the progression of the iPhone 8 series. Yes, like the iPhone Xs, this one also runs A12 Bionic chip. It has a single rear camera. 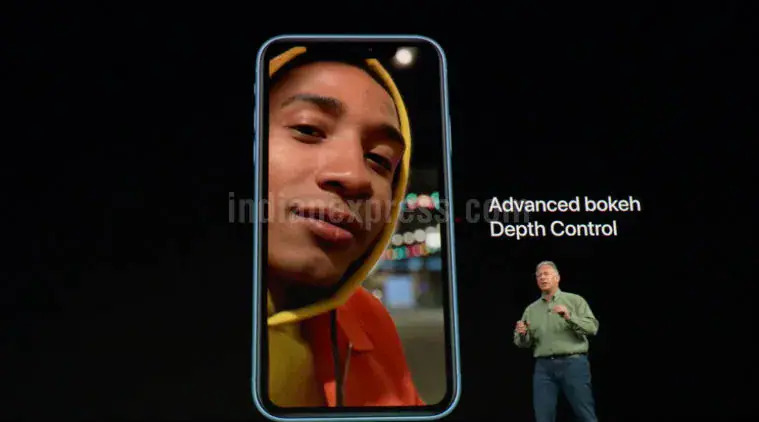 It is 12MP wide-angle camera, exact same as the one on the iPhone Xs Max. Apple designed lens, true-tone flash. And yes, it gets Portrait mode as well, despite the single camera system. Apple says this has an iPhone X experience on an LCD display. Swipe gestures work on this as well. Apple is also calling this the most advanced LCD display. However it has no 3D Touch, but rather Haptic touch feedback. It has the same Face ID system as the iPhone Xs series. Apple iPhone Xr and is it colourful. It has made from aluminium, comes in gold, white, black, blue, coral, yellow. It has an edge-to-edge screen. There is a product Red as well. It has IP67 rating. And yes it has a single rear camera. First edge-to-edge LCD display. Apple finally offering a dual SIM is an acknowledgment of its growth in markets like India. In fact, in the US most people don't even mean that dual SIM means and Schiller even had a couple of lines explaining the concept. With China having different standards, this feature is meant more for India. Also, the eSIM feature -- earlier available in iPad Pro model -- will let users enter a new geography and get a plan without changing the SIM. Apple is using recycled tin in the iPhone XS series. Apple is also trying to reduce plastic usage. Apple iPhone XS and iPhone XS Max will come with dual SIM and dual standby. 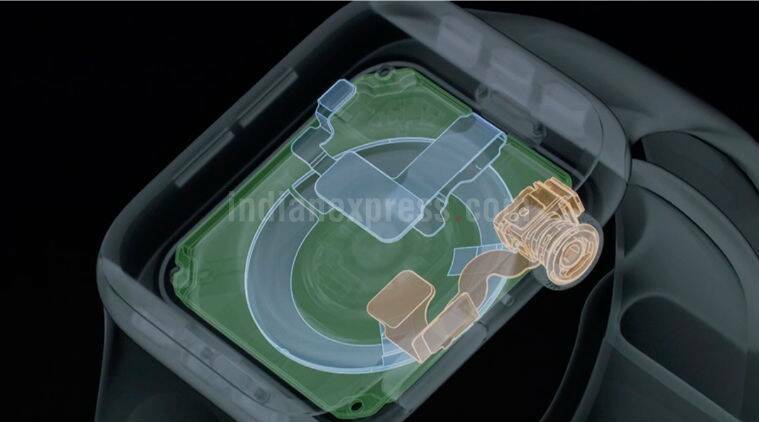 It also comes with e-SIM technology which has been part of Apple Watch Series 4, iPads. However, only China will get the option of actual physical dual-SIM. E-SIM should come to India with Jio, Airtel and Vodafone going by Apple's presentation. Users will now be able to experience stereo sound when they record video. Changing depth of field? Whaat? The iPhone Xs uses the A12 Bionic processor to start what is called computational photography. So on the new phone you can change depth of field after you have shot the photo. There is also a new feature called Smart HDR that merges multiple images to give a perfect shot. On the video side, there is stereo recording now using the four microphones on board. Apple will let you adjust the depth of field to reduce or increase blur in the background when you take Portrait shots in the iPhone XS. Apple's iPhone XS comes with a drastic camera improvement and the company is showcasing stunning samples. Will it be good enough to beat Pixel 3 series though? We will have to wait and watch till the other one launches. Below are details on the iPhone XS front camera details. Apple is giving details on how the ISP and A12 Bionic chip will ensure better photos. Apple iPhone XS also has a Smart HDR mode to ensure high-quality portraits. Apple iPhone XS and iPhone XS Max both have dual cameras at the back. 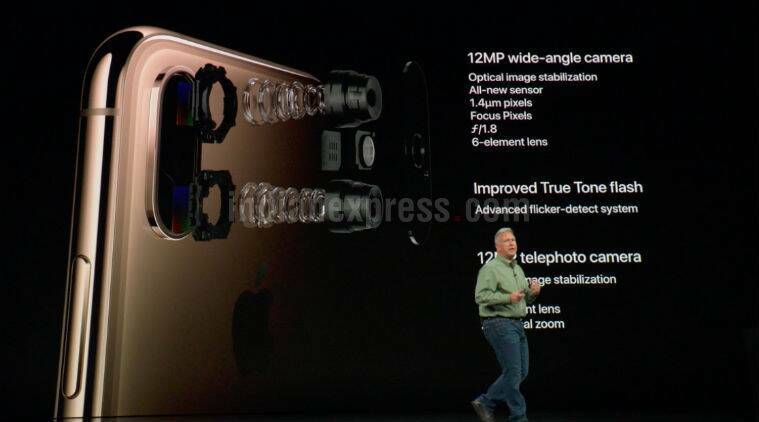 Apple continues with 12MP wide-angle sensor OIS, and 12MP telephoto lens with OIS as well. Sensors on the rear camera and improve True Tone Flash. The front camera remains 7MP with a faster sensor. For those who have missed it, Apple's iPhone XS and iPhone XS Max ( The X is actually for ten) come with Super Retina Display, Stereo widening and A12 Bionic chip. We are still waiting to see the iPhone XR. The A12 Bionic chipset on the new iPhone will be a huge push for AR and ML features and apps on the iPhone. It is nine times faster when it comes to ML processing, but using just a tenth of the power it needed before. So you can expect developers to add more machine learning features in apps in the coming days. Also, Apple has packed a great speaker on the iPhone Xs Max and I won't be surprised if it is as powerful as the iPad Pro. 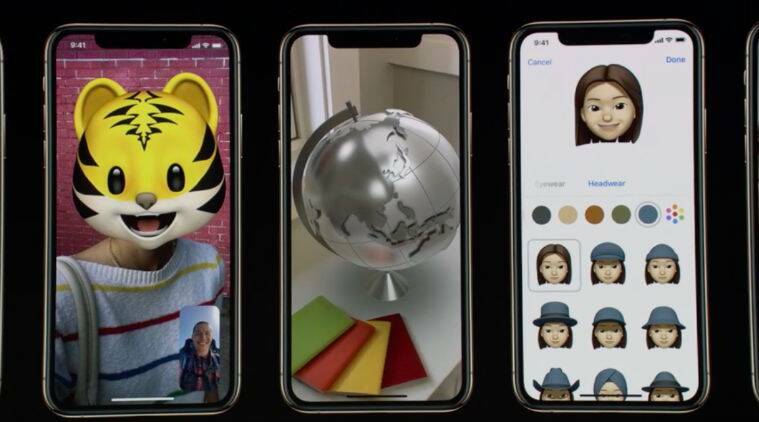 Real-time machine learning is part of the new A12 processor, which will help with Animoji, photos, Portrait mode, etc. Apple iPhone XS and iPhone XS Max are powered by the A12 Bionic chip with a 7 nm design, which allows for more than 6 billion transistors on the processor. This is a six-core processor. It comes with a more powerful GPU and CPU. A12 Bionic helps apps launch 30 per cent faster, says Apple. Phill Schiller is almost speeding through his part of the show and there are no surprises here. The iPhone Xs and iPhone Xs Max are everything the leaks said they would be. The iPhone Xs is an upgrade on the iPhone X, while iPhone Xs Max is the largest phone Apple has every built. This will, of course, be the fastest iPhone too, powered by the A12 Bionic chip -- the first 7nm processor. Apple iPhone XS and iPhone XS Plus both sport Super Retina display. 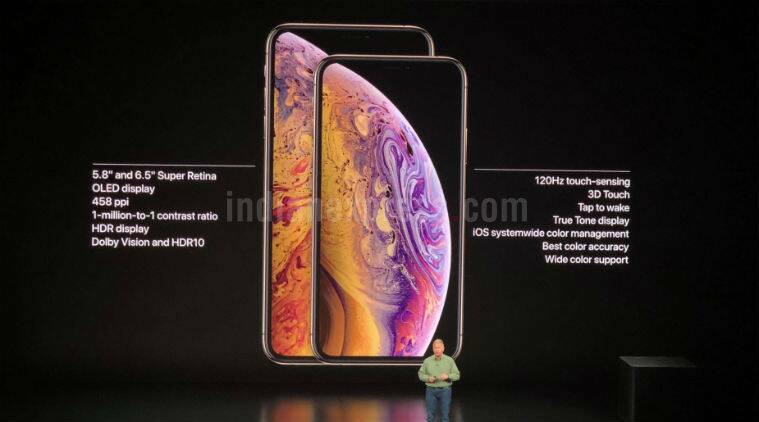 Apple iPhone XS Plus has a Super Retina Display with 2688 x 1242 pixels resolution which comes with 453 ppi. 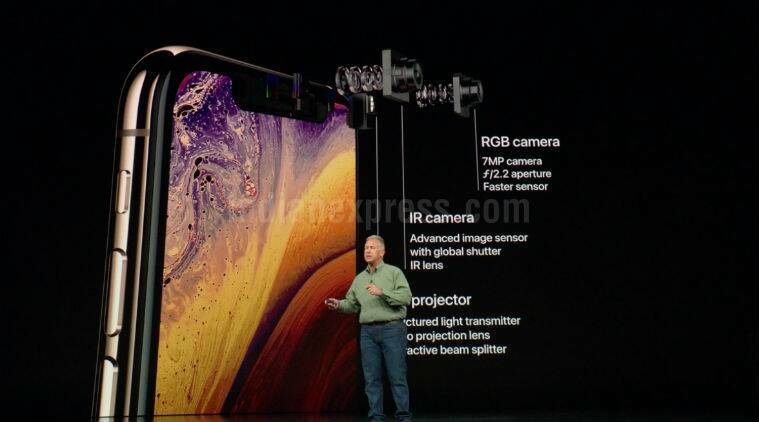 Apple iPhone XS Max and iPhone XS are HDR 10 displays, 120 Hz for fast response, 3D Touch feature. These are TrueTone Displays. Yes, iPhone XS is the name and it looks like the leaks predicted. It has a stainless steel finish, gold colour option and glass at the back. Screen is edge-to-edge, with a new formulation of glass, says Apple. Apple iPhone XS will come in Gold, Silver and Space Gray. IP68 rating for dust and water. Apple CEO Tim Cook said the iPhone X is the top smartphone sold in the world and has a 98 per cent statifaction rating. That's interesting for a phone that was supposed to be too expensive. Apple CEO Tim Cook shows off the new most, advanced iPhone they have ever created. Tim Cook is back on stage and he's talking about the iPhone. Apple iPhone XS is what we are all waiting for. Apple Watch Series 4 comes in the same steel and aluminium finish options. This time there is a gold coloured variant. Apple Watch Series 4 in Nike Sport will also be available. Apple Watch Series 4 Hermes or the luxury edition will also be available. They have new bands as well. The Watch Series with GPS will start at $399, while the LTE variant will start at $499. Apple Watch Series 3 will now available at $279. WatchOS 5 is coming on September 17. Apple Watch Series 4 goes on sale from September 21, pre-orders open on September 14. Apple says Watch Series 4 will have the same 18 hour battery life as the previous version. Apple Watch Series has FDA approval for ECG recording, and for detecting heart rhythm. However, this will be limited to US users early on. Apple says it is working hard to bring the feature to other countries as well. This has big potential for Apple Watch users. If the watch can accurately detect ECG and store that data, it will be useful for doctors, especially as this data can help predict any future heart issues. In 2017, Apple had announced upgraded iPhone 8 and iPhone 8 Plus versions as well as special anniversary edition phone, the Apple iPhone X. The iPhone X pushed the pricing of its premium phones to the $100 mark and came in for a lot of criticism despite the new features like FaceID it was pushing. However, despite the pricing, the phone has been popular across the world and has helped Apple push its average selling price up to $700, thus maximising its revenues and keeping Wall Street Happy. Apple showcased iPhone XS with a 5.8-inch OLED display, iPhone XS Max which will be the biggest iPhone ever with a 6.5-inch OLED display. Finally there is iPhone XR on the list with a 6.1-inch LCD display. All three will have Face ID, and will be powered by the A12 chipset. 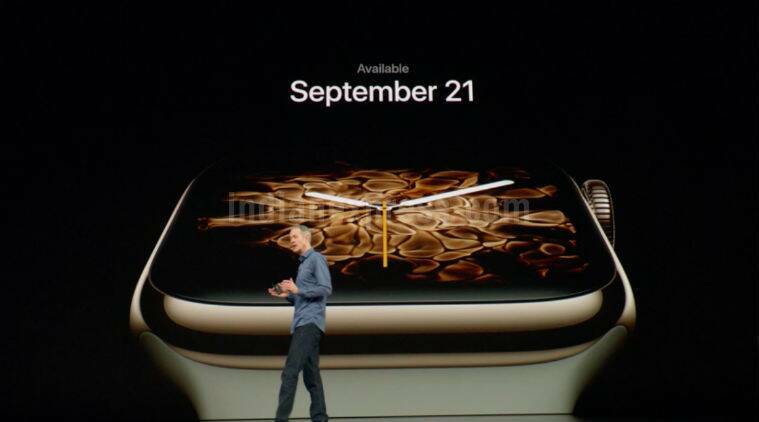 Apple Watch Series 4 with a bigger display and a S4 processor as well as ECG function has also been released by the company.